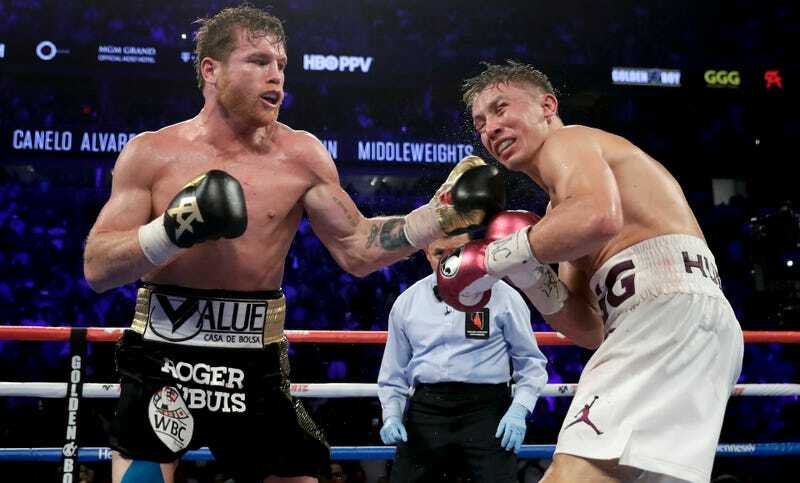 Saúl “Canelo” Álvarez eked out a narrow majority decision win over Gennady “GGG” Golovkin in Las Vegas tonight to hand the Kazakh slugger his first career loss and snag the WBA, WBC, and IBO championship belts. The rematch was a much closer fight than the first go-round, which GGG won in the ring but was ruled a draw because of a truly Dadaist scorecard from Adelaide Byrd. Tonight, Glenn Feldman had it 114-114, while Dave Moretti and Steve Weisfeld gave Canelo a 115-113 victory. 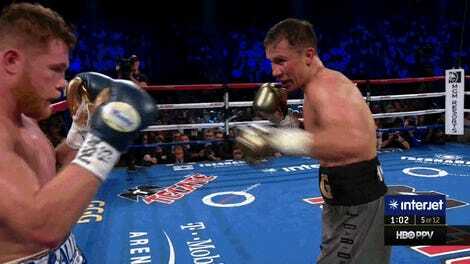 Here is the big reveal, featuring a picturesque rivulet of blood trickling from Golovkin’s eye socket. Since GGG won the first fight and everyone knows it, there had better be a rubber match forthcoming.